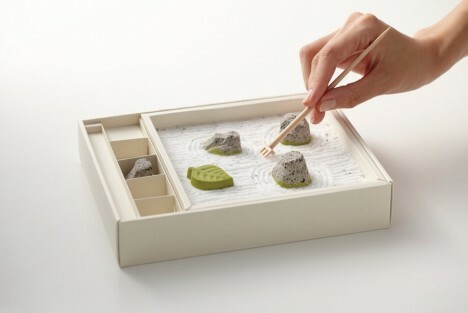 Broken down to its most basic characteristics, the traditional Japanese zen garden inspires innovative design in everything from toys and candy to the most impossibly relaxing modern bathrooms you’ve ever seen. 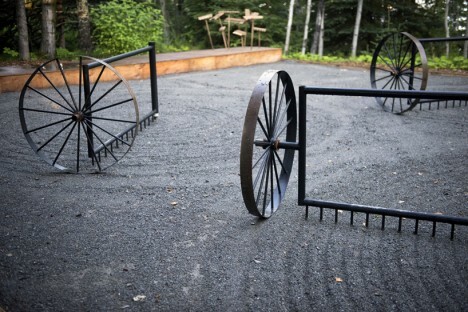 These unexpected takes on the traditional play on the meditative activity of dragging a rake through sand, the pleasingly minimalist aesthetic of the resulting lines and the sense of tranquility a zen garden can bring to a built environment. 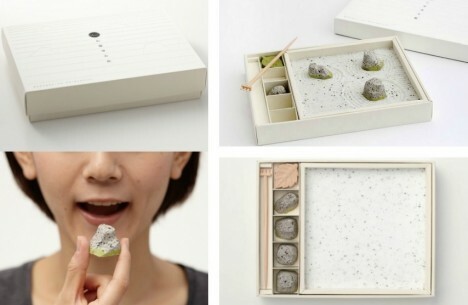 This miniature zen garden is entirely edible, with sugar standing in for sand and rocks made from black sesame candies. 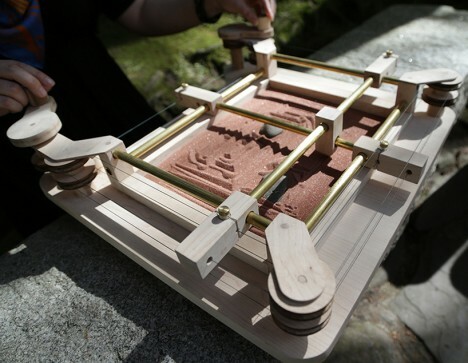 Created by designer Tomonori Saito, the Shinan-ji Temple Rock Garden provides you with a tiny wooden rake so you can play with your food before you eat it. 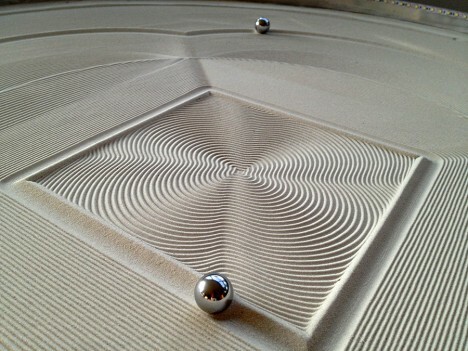 Instead of a rake in the hands of a human, the patterns of lines in these circles of sand are created by steel marbles controlled by a kinetic drawing machine. 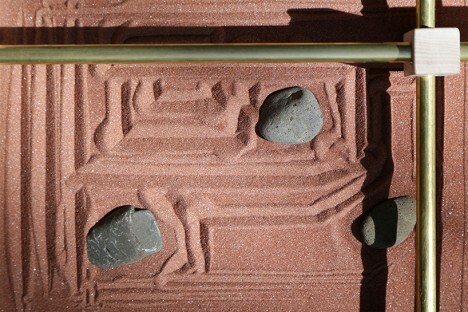 The Sisyphus Machine by Bruce Shapiro produces mandala-like designs that swirl and change as the marbles move. 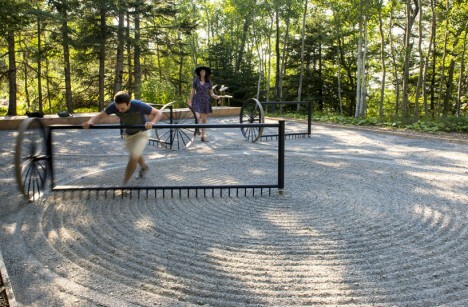 This new take on the traditional Japanese zen garden replaces sand with gravel and uses three spinning tools inspired by agricultural machinery to create the patterns. 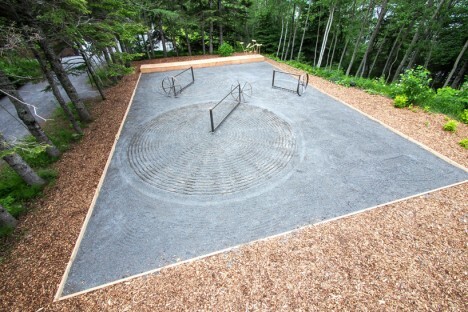 Created by Talmon Biran Architecture for the International Garden Festival in Quebec, the ‘Dry Landscape’ installation requires participants to work in tandem to create their own circles without bumping into each other. 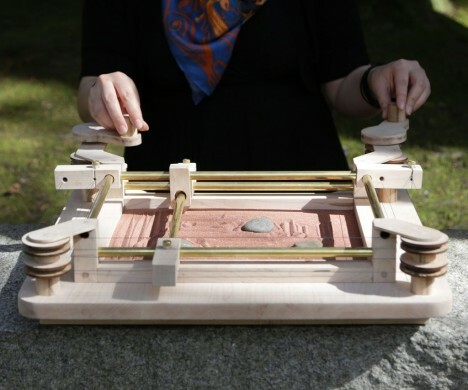 Create your own relaxing DIY zen garden game with a tutorial at Instructables, which even includes shop drawings and templates. The XYZen Garden by Jonathan Odom works like an Etch-a-Sketch toy, using a pulley system to move the stylus across the sand.